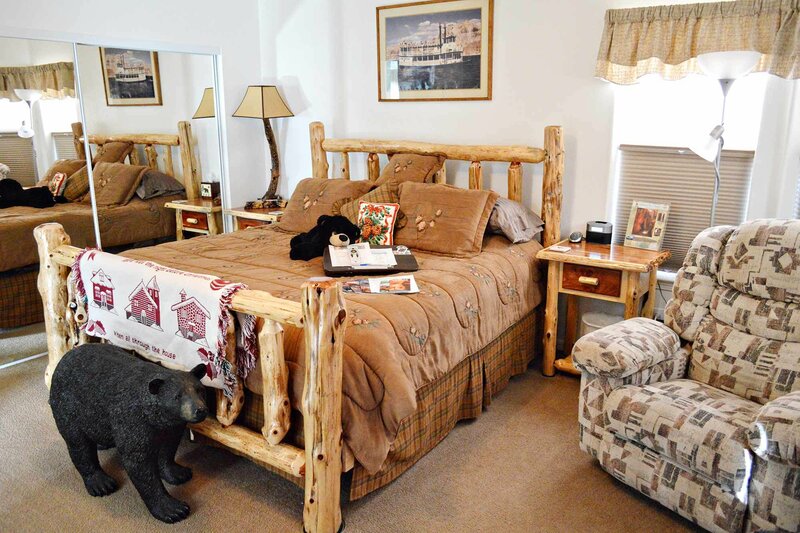 Your King Room (approx 210 square feet) is comfortably equipped with all the amenities we think you will need in order to enjoy a relaxing stay here in Page, AZ. 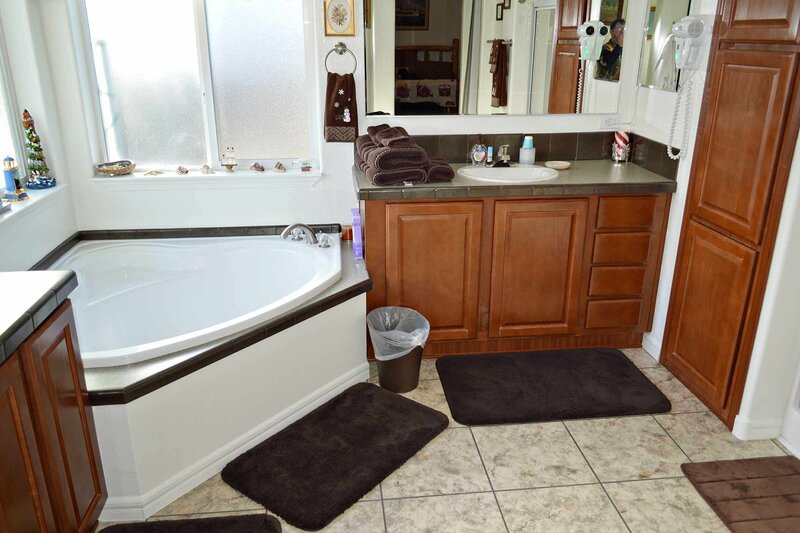 The extra large parking area for your vehicle, RV and/or boat also provides private entry into your master room. 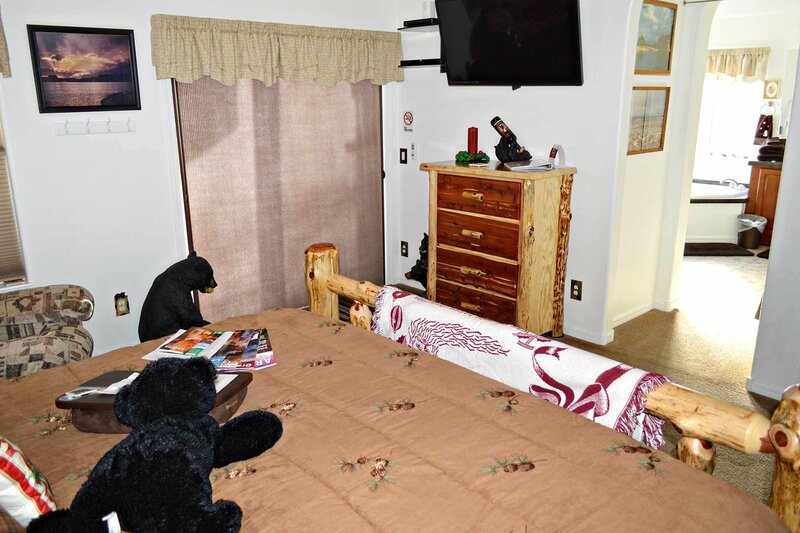 This room has a walk-in closet with plenty of room to hang all of your clothes, store your luggage and just about anything else you might need to bring. 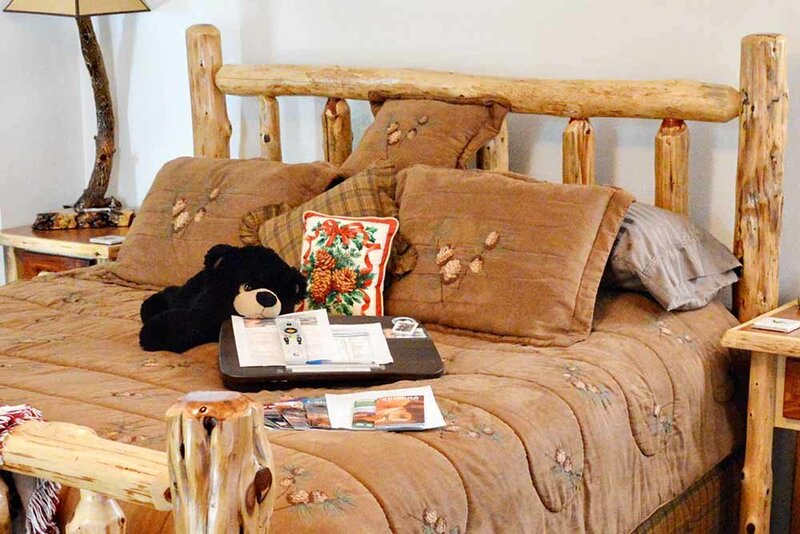 An ironing board and iron are provided as well, with a luggage rack, a 46” HD Flat Screen TV, HD DirecTV (with Arizona Channels included), a DVD player, a dresser and a heated, vibrating recliner (you may not want to go to bed after relaxing in this chair, a favorite of all who use it). An iPod Docking Station alarm clock is also available, along with a remote-controlled light and ceiling fan for your convenience. 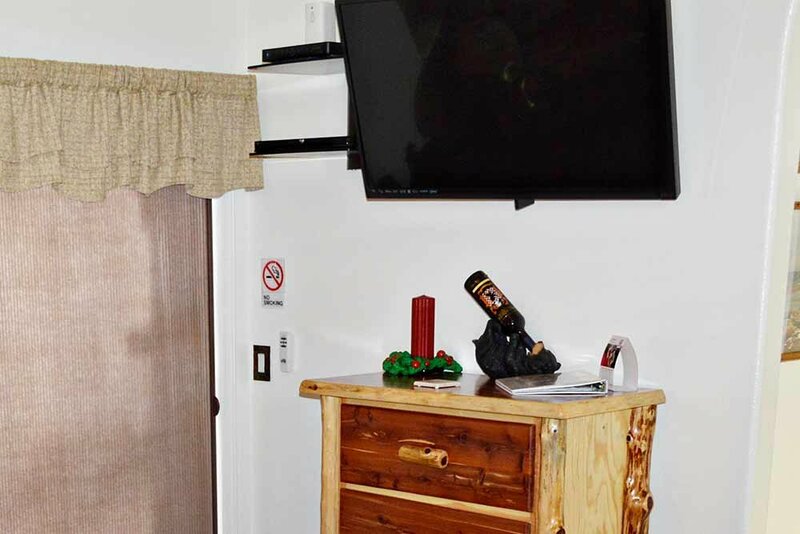 We also have a hot spot for internet access. The access code is provided upon request. 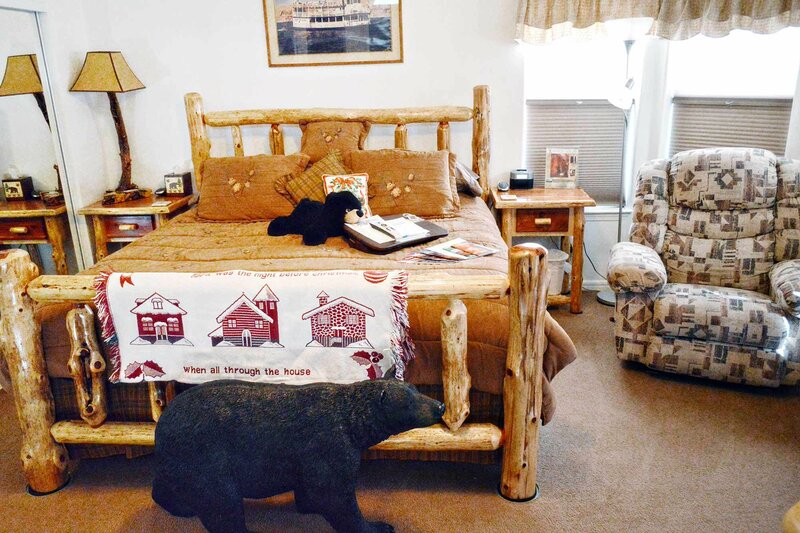 This is a NO SMOKING room and pets are not allowed. 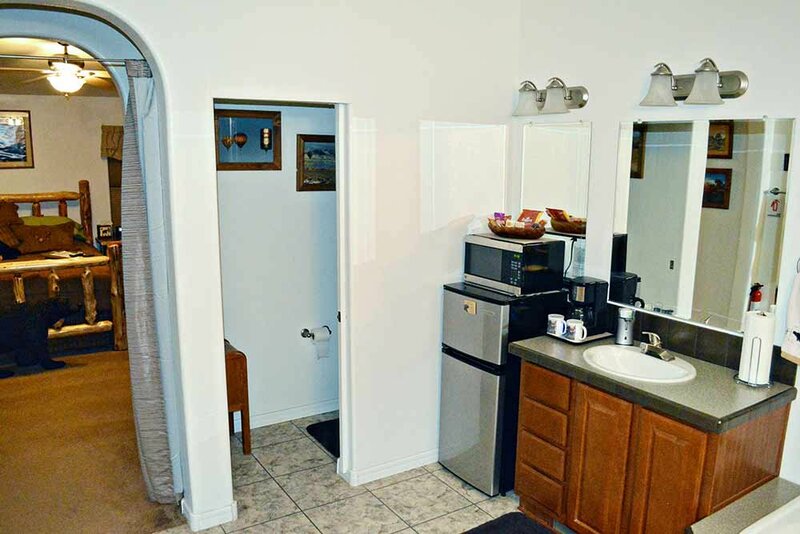 The Master Bath (approx 118 square feet) is "en-suite" and is complete with a refrigerator/freezer, a hair dryer/night light, large bath towels, a garden tub, a walk-in shower and private toilet room. This should be everything you need to relax for the evening. 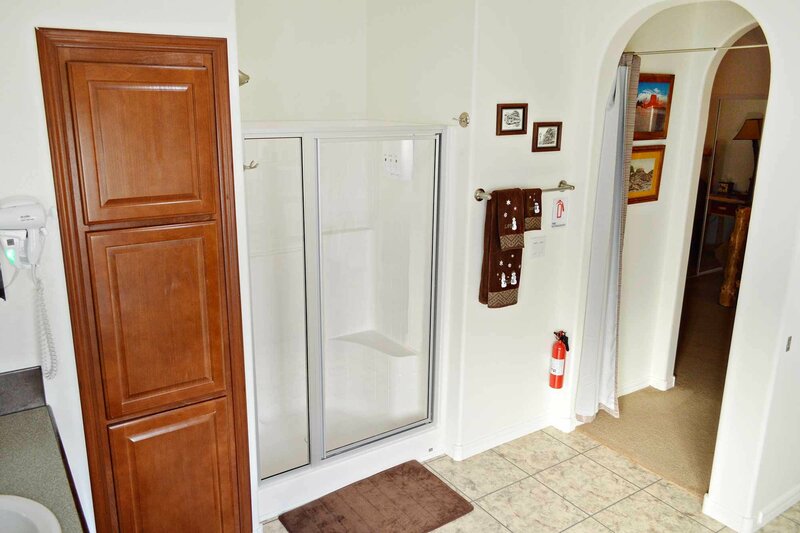 Bath sheets are provided if you want to use the hot tub out back.